Independent aging and home safety go hand-in-hand. For many seniors, it is extremely important to family and friends to prove that safety measures are in place. They will constantly be on edge that mom, dad, grandpa, or grandma might fall and lay in pain for hours or days before help arrives. Of course, their worries are justified. 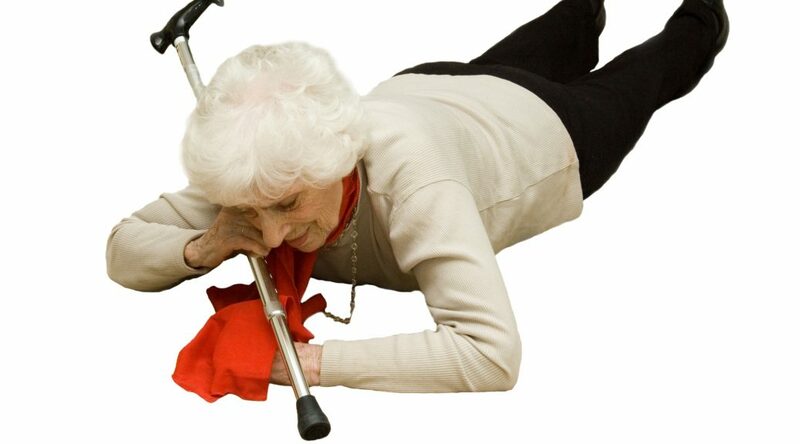 One in two people over the age of 65 will fall and break a hip. With age, it becomes harder to assume that pain and injury happens to the other person. In addition, it is nice to know that if any emergency arises, help will be on the way in a matter of minutes. For instance, a lot of seniors are able to stay home because they wear some sort of alert device. Then, family members can quit nagging, lovingly of course, because the phone does not have to be within reach to get help. Implementing additional home safety ideas will go a long way in convincing others that seniors are still capable of living alone at home. As long as they can prove they have home safety aids in place, to help prevent a fall or some other injury, it will be a lot easier to remain independent at home. To make sure their home is as safe as they can possibly make it, begin by going through each room in the house to determine which changes are necessary to make life easier and safer. For example, if getting up and down from a sitting position has become a precarious adventure, a lift chair or lift cushion may be the answer to that problem. You will want to make the bathroom a priority in home safety. To avoid slipping or falling in the shower or tub, hand grips on the wall will help steady their balance. They may also want to consider a raised toilet seat, so getting up and down from the commode is simpler. A shower chair is also an excellent idea for those who may have difficulty standing for any length of time. The bedroom can also be unsafe, especially if they have to get up in the middle of the night. If they are tired and half asleep, their balance is likely to be even more unsteady. A bed rail might come in handy for standing up or even switching positions in the night. Independent aging and living at home for as long as possible is usually preferable to residing in a nursing home, where they are away from what is familiar and less like living in a hospital-like environment. But, they may have some natural fears to being home alone, in case something happens. With home safety devices implemented and the necessary equipment to make life a little easier and more comfortable, they may be able to continue to enjoy their home and independence. Knowing you have done everything possible to make their house safer, and knowing that help is just an alert away, will give you the confidence to reassure friends, family, and the individual.